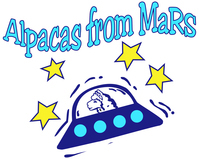 Alpacas from MaRS is a farm located in Snohomish, Washington owned by Mark and Rebecca Suryan. 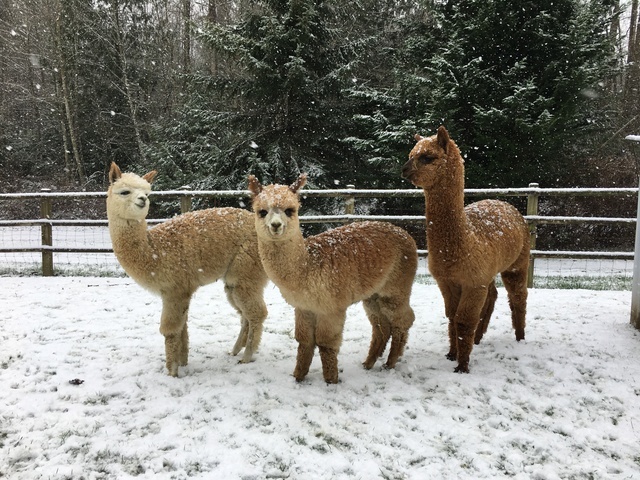 We love to share our alpaca experience but in the winter months much is going on all over the farm as we prepare for the new year ahead. Visitors are always welcome by appointment, but we do not hold "Open Farm" hours in the months of November through March. During the rest of the year you can find open hours and directions page under "More" and then "visit..." for specific dates and times. 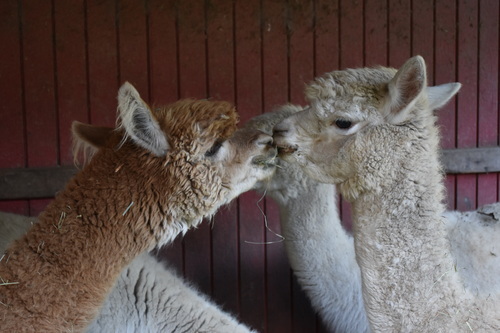 Have you got a group that would like to visit with the alpacas and learn how to make something from their fiber? Take a look at our hands on opportunities under our service instruction listings. Perfect for birthdays, scout groups, or a ladies out night! We have been working hard to fill our farm store with products made in the US. We are members of fiber cooperatives and offer their products for sale. Additionally, we have handmade products made from the Alpacas from MaRS herd. 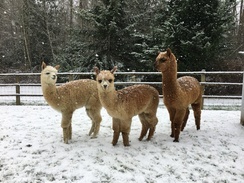 Alpacas from MaRS believes in the future of the North American Alpaca, and in particular, Alpaca Fiber. We are members of the Alpaca Owners Association. All of our alpacas are registered with AOA using DNA sampling which helps us to make wise breeding decisions based on genetics as well as selective fleece characteristics. Whether you are purchasing your first alpacas, adding specific qualities to your existing herd through breeding services, or looking for a mentor to further your alpaca knowledge, Alpacas from MaRS can assist you in your goals! We are a full service, hands-on ranch specializing in fine fleeced Huacaya alpacas. Proud to participate in building a foundation for the fiber industry, we are members of the Alpaca Coalition of America, contributors to the New England Alpaca Fiber Pool, and the Alpaca Blanket Project. Our breeding program focuses on fiber fineness and consistency, healthy conformation, and gentle dispositions in a full color spectrum. 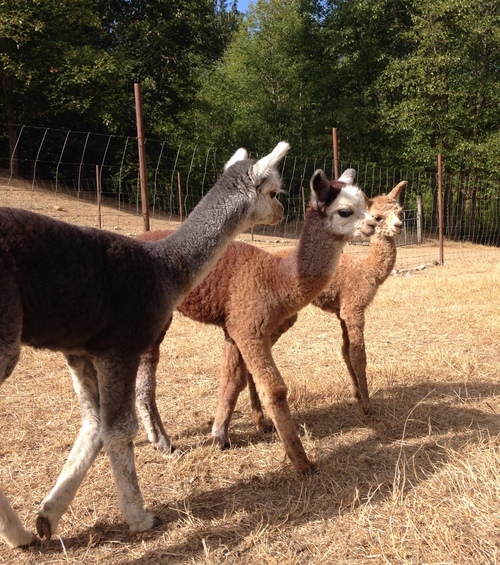 Our goal is to never get too big that we can't offer personalized care for our alpacas. Knowing each alpaca individually is an important piece of herd management. We enjoy working with new alpaca owners and existing breeders. New owners can count on us to provide mentoring and first rate customer service. 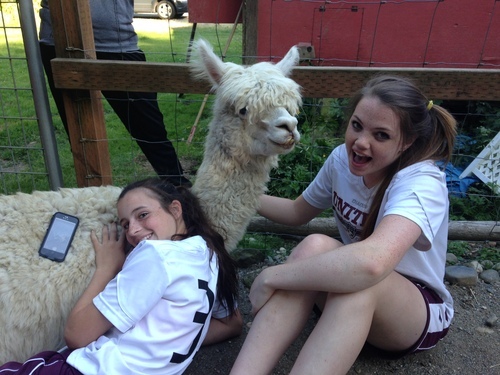 Sharing our alpaca experience is something we love to do! While searching for our foundation herd we looked for the alpacas that best suited our own breeding objectives. We wanted alpacas with fine fiber and a wonderful handle so we could breed alpacas that fit the demands of the fiber industry. We pay attention to the quality of the fiber our alpacas produce knowing that a quality end product is essential to the future of the alpaca industry. 18+ years strong, we are proud of our accomplishments thus far, and we continue to gather new information to further our understanding and practices for even better fleece production.